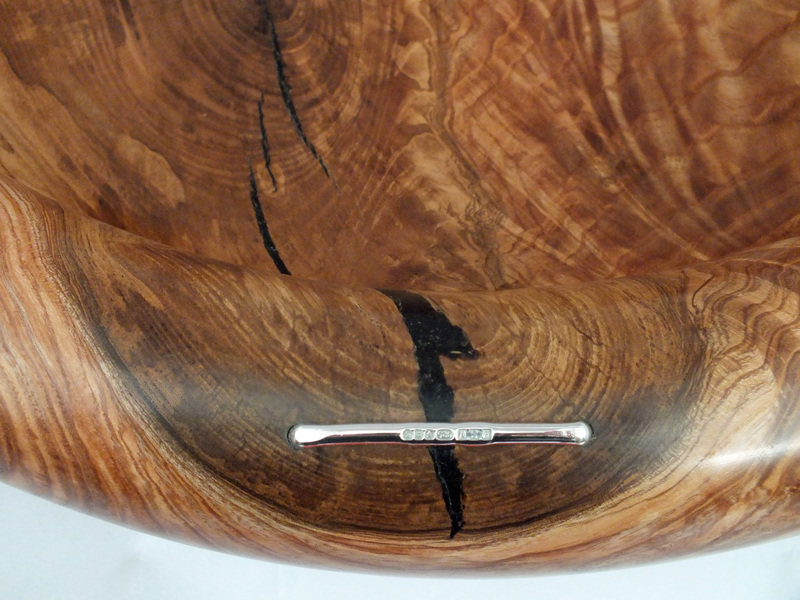 Michael decided to make a statement piece which would showcase a lot of his skills and loves. 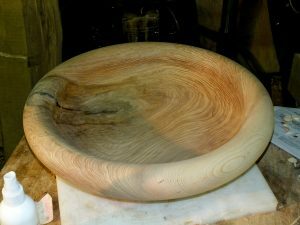 First to the bowl. He selected a large piece of ash (approx. 120mm x 500mm) that would hopefully make a quern style bowl (you never know till you start into it). 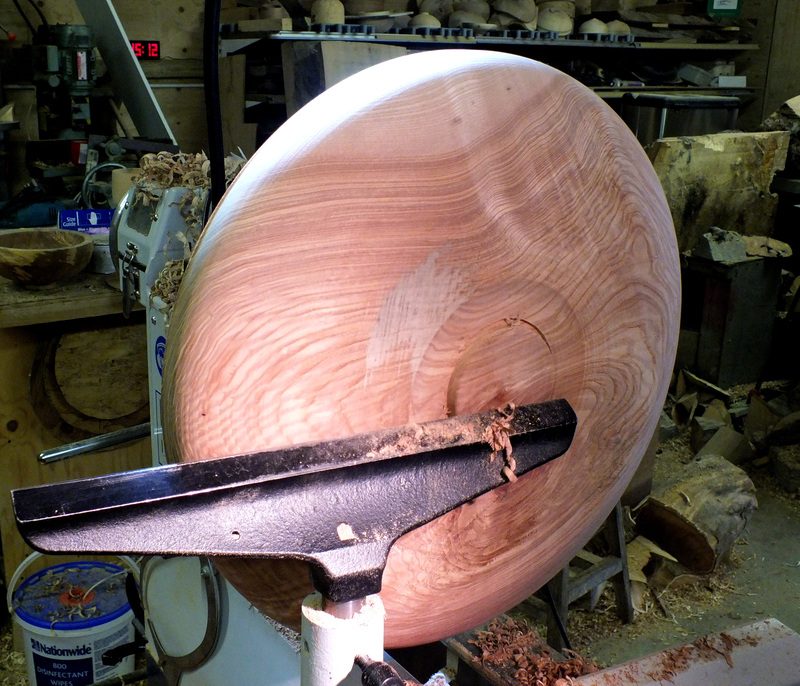 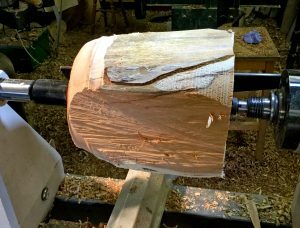 It was mounted on the lathe and the outside form was turned. 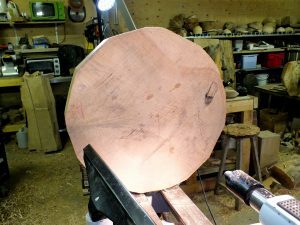 It was a solid piece of timber, beautiful colour and with a slight split that would make an excellent feature and add interest. 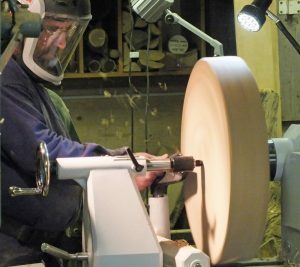 The blank was then reverse mounted on the lathe allowing Michael to shape the distinctive rounded form of the quern style bowl. 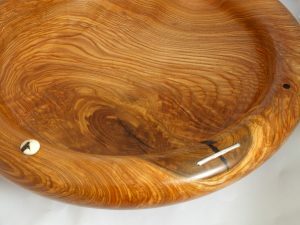 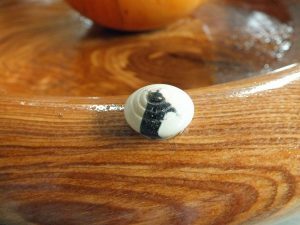 Once he was happy with the form of the bowl it was sanded and the split was filled with a black resin and it was put to one side. Now to the pointer. Yew was selected for both its tight grain and vivid colour. 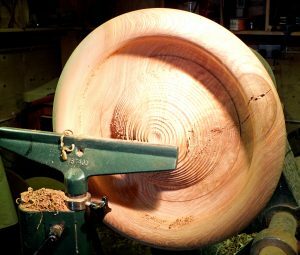 A tear drop styled form was turned being careful to keep the balance right which will allow the form to roll about but stay upright. 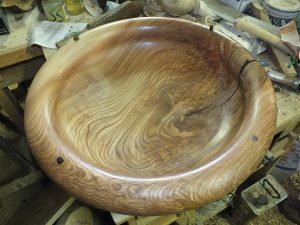 This is helped by the yew as it is naturally dense and heavy. 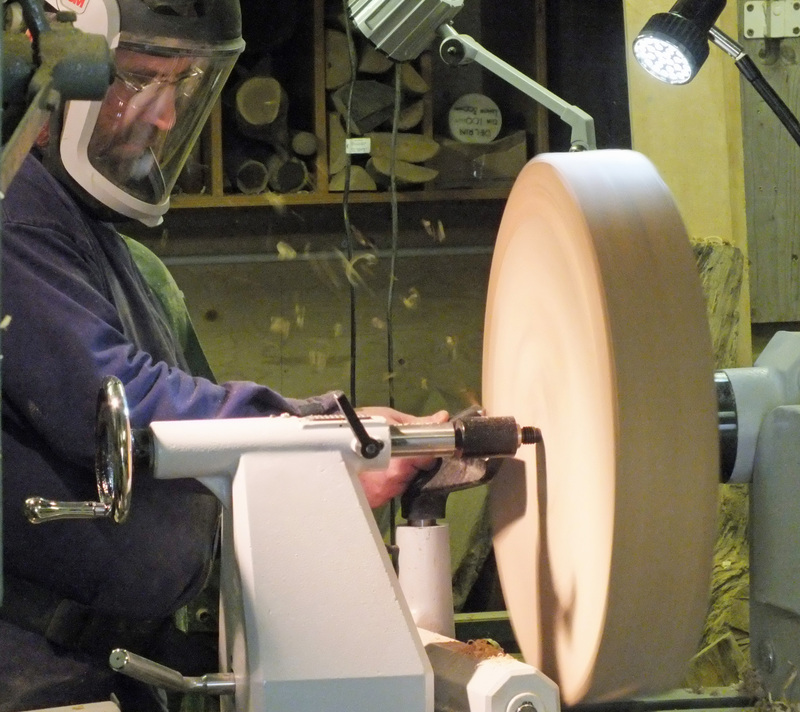 Once turned and Michael was happy not only with its stand-alone form but also its proportions with the quern bowl it will eventually sit in, it is sanded and again set to one side. Both pieces are left to stand for several weeks in an ambient temperature to dry and settle. 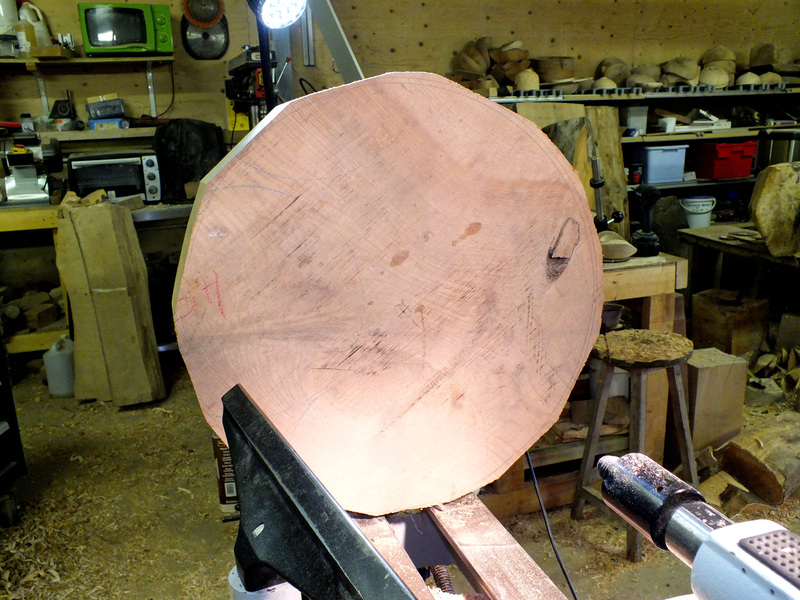 Now for the embellishment. Both the bowl and the pointer are inlayed with ebony. 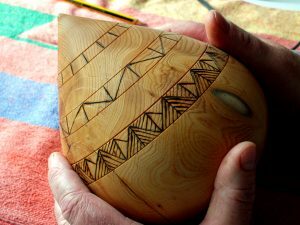 One on the top of the pointer and the quern bowl is divided into four equal quarters and a stud inlaid on the rim at three of the points. The forth point Michael inlaid a button stud made from Tagua nut (vegetable ivory). 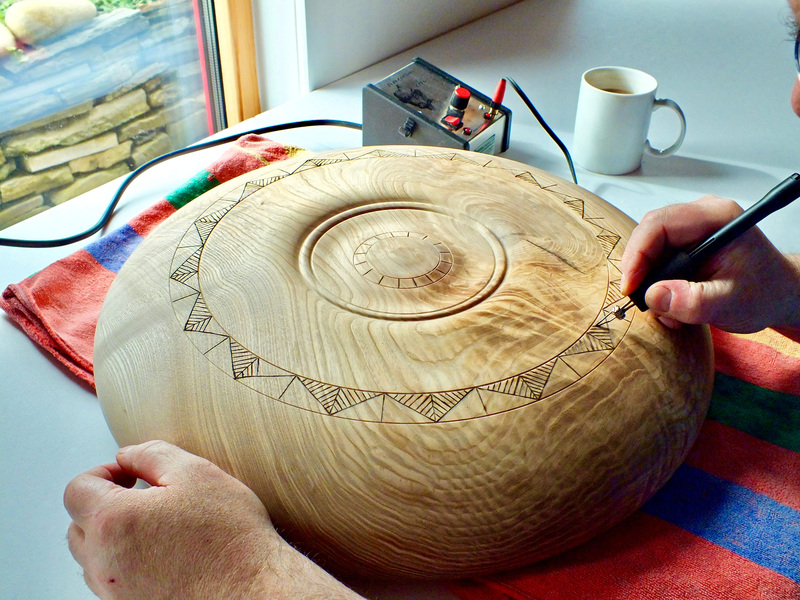 The underneath of the bowl is decorated with Neolithic inspired markings using the pyrography tool. 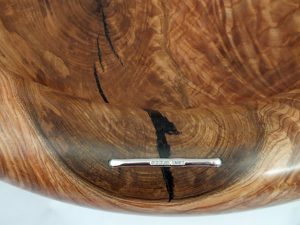 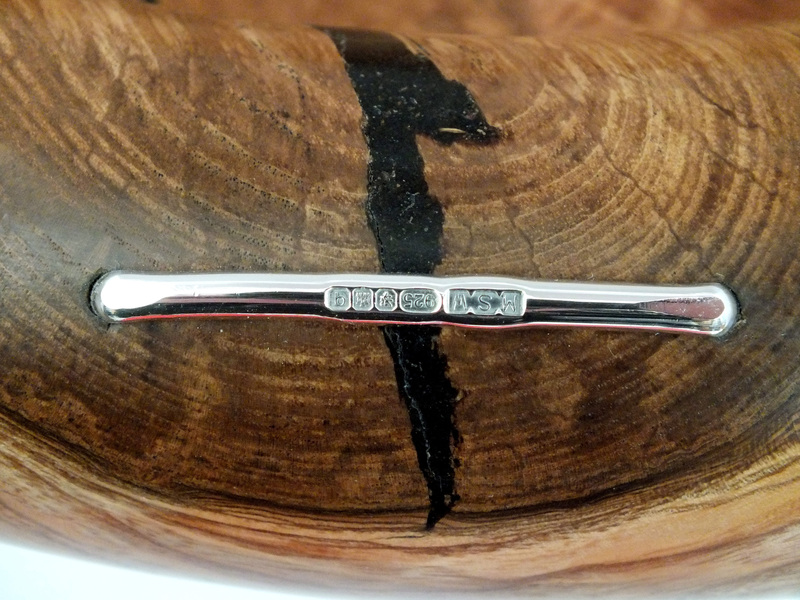 To complete the bowl a silver staple, hallmarked by the Edinburgh Assay office and stamped with our makers mark, was placed along the rim over the repaired split. 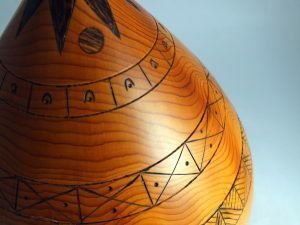 The pointer is then embellished with Neolithic designs using pyrography. 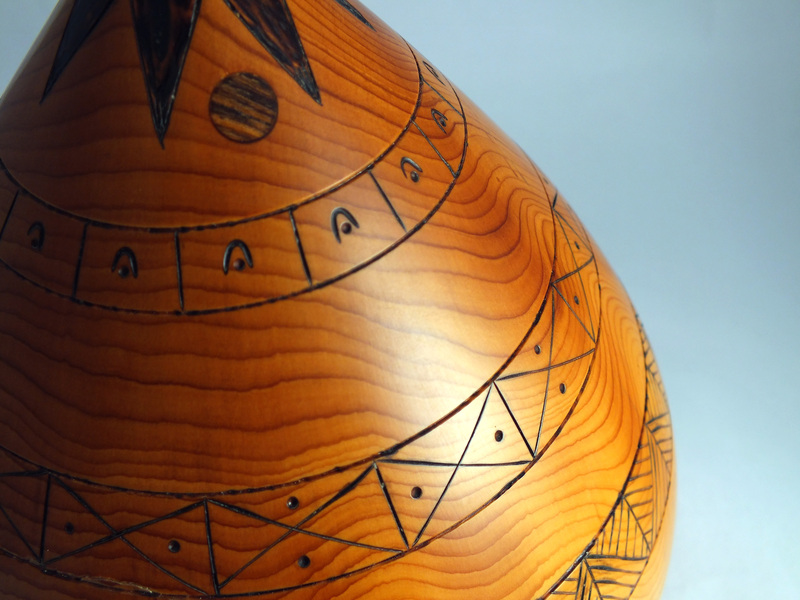 Both pieces are finished with several coals of oil, waxed and buffed. 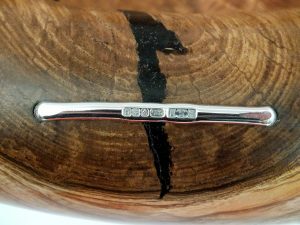 All finished, so what is its purpose, could it be a navigational aid from by gone days, a calendar from the distant past, perhaps even a game of chance, the choice is yours. This piece is being exhibited at The Pier Arts Centre in Stromness, Orkney, at their Christmas Exhibition opening Sat 19th Nov 2016.